A new proposal could see visitors at New York’s racetrack casinos able to gamble through the night with the venues staying open until 6am. The measure has passed the Legislature and is now awaiting action by Gov. Andrew Cuomo. A new proposal would allow racinos in New York to stay open throughout the night until 6am. 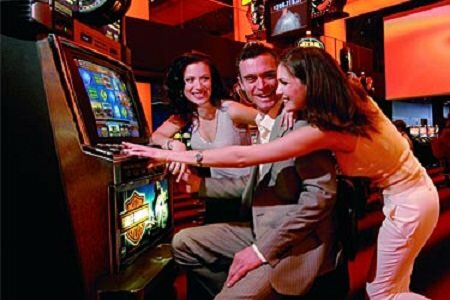 At present the racinos must close at 4am. It is hoped that the longer hours will boost business and increase revenues. A spokeswoman for Empire City Casino at Yonkers Raceways, Taryn Dufy, said that over the weekends it’s common for hundreds of people to still be playing when the casino closes. However, Ryan Hasenauer, the director of marketing at Batavia Downs Gaming, said that later closing hours would mean that the casino would have to open later in the mornings. He said that this may make sense over the weekend, but not during the week. At present the casino opens at 8am. The proposed changes come as racinos are preparing for competition from up to four planned Las Vegas-style casinos in the state.